It is understood that the last thing any landscaper or gardener wants is to have weeds emerge as their new lawn develops and matures. Applying weed killer, though, is not as simple as putting it down at the first site of weeds. Rather, careful planning and consideration of your lawn's new growth is key to ridding the lawn of the weeds--not the grass. Depending on the intended use of a new lawn, different types of grasses may be planted. For high-traffic areas, durable turf grasses are ideal to plant, but for decorative, showy sections of a landscape that would not be walked upon, finely textured ornamental grasses may be selected. 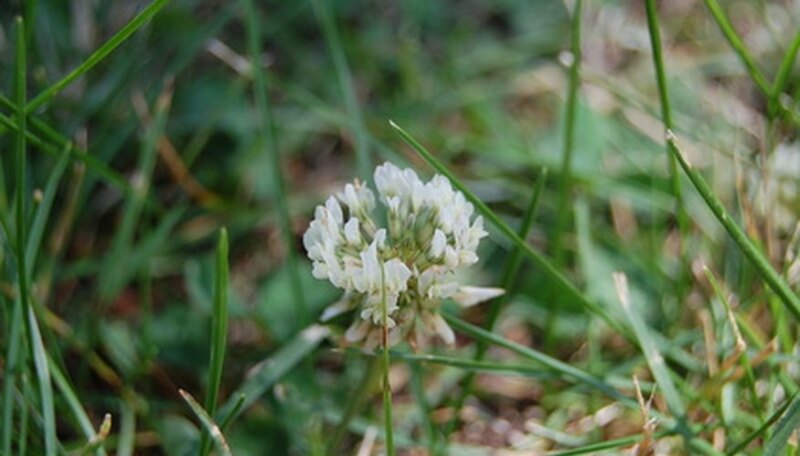 Decreasing the occurrence of weeds in your new lawn begins before the grass seeds are sowed into the soil. According to the University of Minnesota, preparation of the soil will not only promote healthy turf development, but it will also reduce the lawn's future maintenance. Soil preparation includes removing existing weeds and plants, applying weed killers that would not prevent new grass seeds from growing and enriching the soil with soil enhancements that will promote the growth of a healthy new lawn. Whether starting a new lawn from seed or sod, the wrong time to apply weed killer is at the start of a new lawn. Weed killers halt the establishment of the grass's root systems, and since the new grass is easily vulnerable to stress in its early stages, weed killers may kill the grass as it would weeds. The best time to apply weed control is before planting a new lawn. The weed control will have time to seep into the soil and destroy established and emerging weeds. Remember to leave adequate time between a weed killer treatment and planting your new lawn, and It is best to follow the manufacturer’s instruction for these products. After the recommended time, planting a new lawn will be a virtually weed-free project. According to Yardcare.com, some natural ways of preventing weeds in a new lawn include selecting a good quality topsoil that is weed-free, choosing high-quality grass seed mixes that do not have weed seeds in the bag and sowing the seeds in a thick layer to crowd out the germination of any weed seeds. Once the new lawn is established, regular mowing at heights of 2-1/2 to 3 inches will prevent weed seeds from germinating or growing, and periodic watering to just moisten dry soil are ways to stunt the formation of weeds on a new lawn.